Located high above Santiago, Chile, La Parva is one of the premier ski areas in the Andes, with 15 lifts and a vertical drop of approximately 1000m, the hike-to venues for the event sit above the ski area, and provide fun mixed terrain with an assortment of cliffs, chutes and bowls. Due to the high-alpine environment of these zones, the final decision regarding the exact location of the venue will be made pending snow and weather conditions. 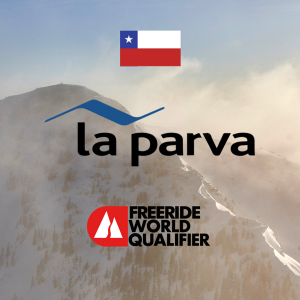 Anchored by Farellones, Chile’s original ski town, La Parva and the surrounding area will make a beautiful start to the FWQ completion season in the Andes. Entry fee includes discounted tickets, VIP hospitality including welcome and awards asadas and on-hill festivities. 10:00 - 16:00 - Athletes registration (ongoing throughout the day), venue inspection (visual only). 19:00 - 21:00 - Mandatory welcome meeting, technical information and other event information. 10.00 - First athlete run. 15:30 - Closure of the FWQ competition. Late arrivals/people who miss the meeting on Thursday will be accommodated and brought up to speed during a second meeting Friday. This is dependent upon how many late arrivals there are and what happens with the storm.